Urban expansion - From the sea up to the mountains, space is precious and optimized. 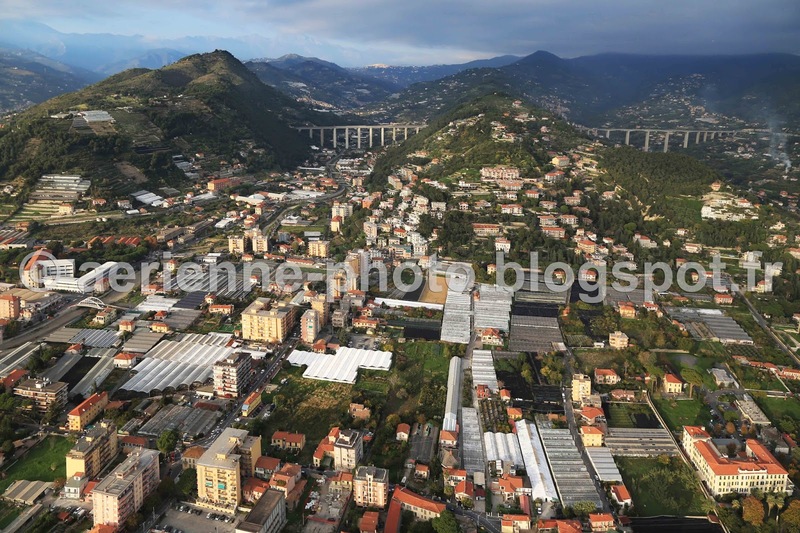 This urban development was mainly due to the construction of the Ligurian freeway, "Autostrada dei Fiori" that connects Genova to Ventimiglia and then France. (Bridges at the top third of the photo). The freeway from Ventimiglia to Savona was opened in 1961 and Savona to Genova was opened in 1967.